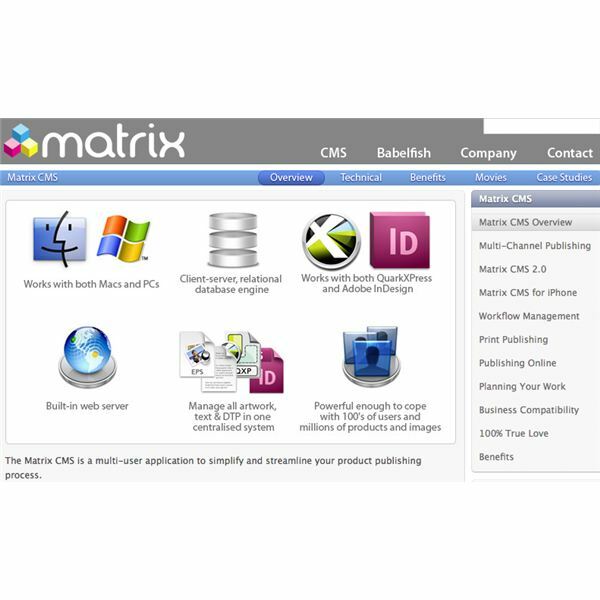 The Matrix CMS publishing software will allow you to create your catalogs automatically, based on the product information and graphics that are stored in the database. Images and text are placed onto the page automatically styled. A link is then established between the system and the page to ensure simple and error-free updates. You can create a wide variety of catalogs, including technical catalogs with complicated tables, to simple catalogs with product graphics and descriptions. From there, you can create short run brochures, order forms, product information sheets and more. The Matrix CMS system works with third-party software such as QuarkXPress, Adobe InDesign, Mac OS X and Windows. All you need is a modern browser. Catalog Genie lets you maintain all of your product information including graphics and text files. You can create custom categories and definitions to edit current and future catalogs. Create custom catalogs for specific customers by using the Selection Wizard. You can also create a catalog by price range. 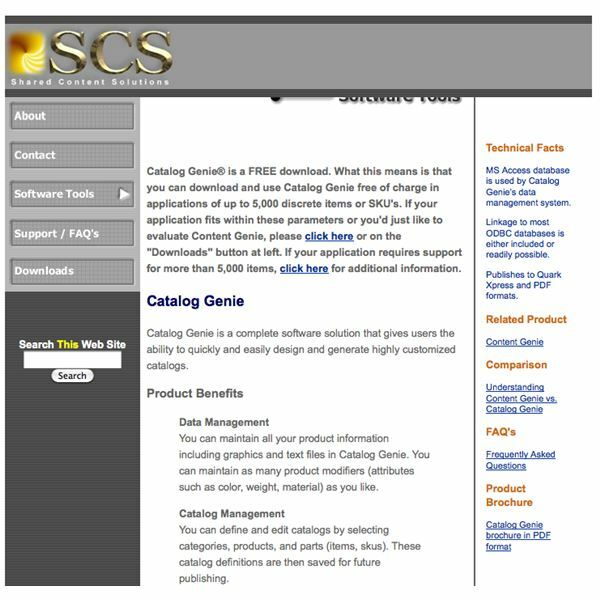 Catalog Genie is free for inputting up to 5,000 items or SKU’s into the database. Additional items will require a paid license. 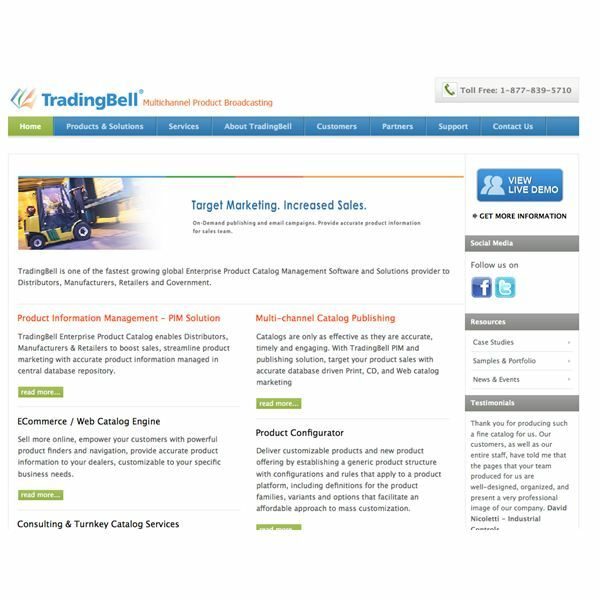 With TradingBell PIM, you can design catalogs for print, PDF, CD and the Web. InCat is an InDesign CS3 plug-in that will give you control over the layouts of your pages within the TradingBell system. It will save time for graphic designers because it automatically controls and applies styles to the product data. You can create custom catalogs without sacrificing the structure of the original data. WebCat is another feature that makes it easy to manage your store’s look and feel, inventory level, price discounts, sales tax, orders and email messages. CDCat lets you create a fully searchable CD catalog with a built-in shopping cart for taking orders. It can also be used as a purchase order system. ActiveCatalogs lets you publish PDF catalogs using templates. It also helps you focus on campaign management. TradingBell PIM is compatible with the Mac and PC. 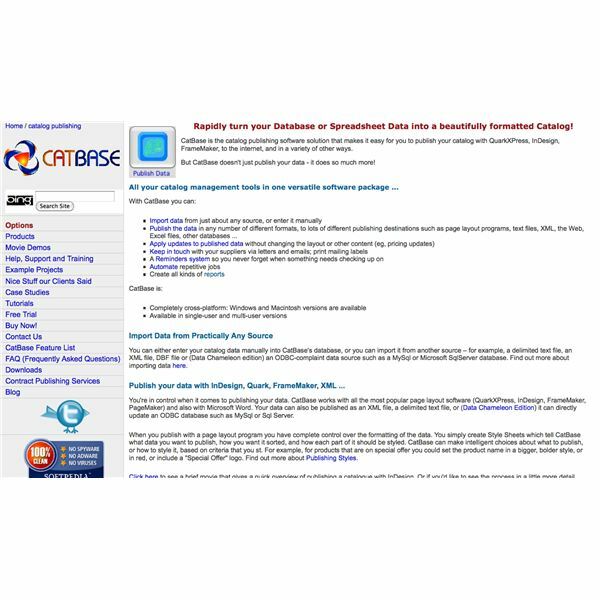 CatBase is catalog publishing software that will let you publish your catalog in a variety of ways, including page layout programs such as InDesign, text files, XML, the Web, Word, Excel and more. You can either import data or enter it manually. Apply updates to published data without changing the layout or surrounding content. Automate repetitive jobs with the Event Scheduler. CatBase is compatible with the Mac and PC. Catalog Organizer Deluxe will let you create and manage a wide variety of catalogs. The Designer tool will help you modify the templates that are included in the package or design your own. There is no limit to the number of records or databases that you can create with Catalog Organizer Deluxe. A free trial is available for 45 days after you download it. It is compatible with Windows only.